However, the BJP leader asserted, that it was only due to Prime Minister Narendra Modi's strong will that everyone in the country today has a bank account. 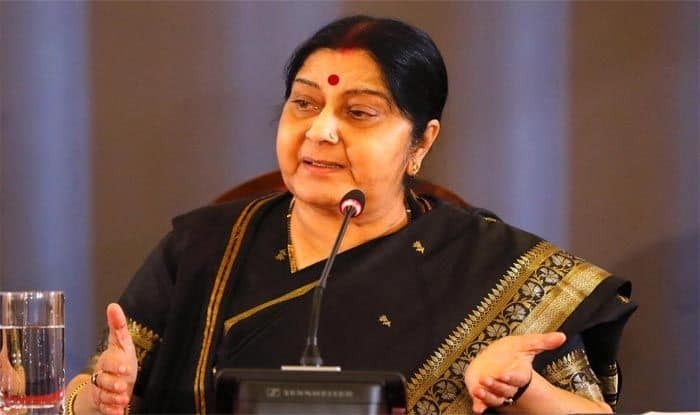 New Delhi: Minister of External Affairs Sushma Swaraj on Friday said that when the Bharatiya Janata Party (BJP) came to power in 2014, one -third of the population didn’t have a bank account. However, the BJP leader asserted, that it was only due to Prime Minister Narendra Modi’s strong will that everyone in the country today has a bank account. “When we came to power in 2014, 1/3 of the population didn’t have a bank account. When PM noticed it, he ordered banks to go to ppl and open a zero balance bank account. It’s because of our PM’s strong will that everyone has a bank account today,” Sushma Swaraj said during her address at the National Convention, held in the national capital. BJP president Amit Shah inaugurated the meeting, the biggest ever for its national council with the party expecting participation of around 12,000 members. PM Narendra Modi will deliver the concluding speech on Saturday, laying down the agenda for the general elections. The party had invited its all elected members, ranging from those in local elections to its MPs, besides organisational leaders from across the country, for the meeting. The party chief Amit Shah said that the ruling party is committed to constructing grand Ram Mandir in Ayodhya. “BJP wants Ram Mandir to be constructed at the earliest. We are trying in the Supreme Court that the case reaches its conclusion but Congress is trying to create obstacles. We want the case to be resolved soon,” Shah said in his inaugural address at the party’s convention at Ramlila Maidan.